Finally the part of the journey that makes the skin tingle and the mouth salivate. Well, I guess its true if you are a wine buff or an alcoholic. Either way, let’s look at the wines. Wine is a diverse indulgence. I do not object to viewing it as a living breathing animal, that engages with a drinker on many different levels. As such, each wine and each drinker generates a series of variables which differentiates wines and drinkers in exponential terms. What might be heaven to one, is madness to the other. It might be Mozart vs Eminem, or Gewurztraminer vs Cabernet. We began the morning with a visit to Arabella, where we were fortunate enough to see the unveiling of two new wines, the Natural Sweet White being the finer of the two. Next we attended an underground cellar tasting at Weltevrede estate with the wine maker as our host. As an event this was by far the most intimate and most educational experience. We were led through old wine compartments, which had been broken through to reveal a cement maze underneath the present winery. Philip Jonker, winemaker and heir to the Weltevrede estate, explained the Methode Cap Classique process in detail, belayed his passion for wine making and spoke about his experiences in France, all the while allowing the flickering candles and mystical atmosphere to add to the romanticism of wine. From there we hopped from estate to estate until there was no more hopping left. There were so many wonderful wines to sample, from whites at Springfield, the delicate Blush at Bon Courage, to the dominant ruby red at Robertson. From a masterful Bonnievale Chardonnay, a deep and soulful Cab at Viljoensdrift, to a Cigarbox red at Weltevrede, and a brave Wolvendrift Red Muscadel. We rounded off the day with a visit to Esona and Arendsig, where I spoke a bit with winemaker, Lourens, about his unique approach to viticulture. His isolated block farming method allows the winemaker to accentuate the power of the grape. He is a man who makes a call on instinct, and it is seldom a wrong call. 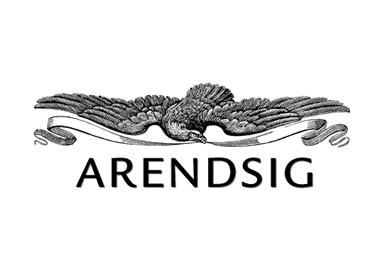 From experience I can assure any collector that Arendsig wines mature fabulously! This dessert wine has a growing list of accolades. 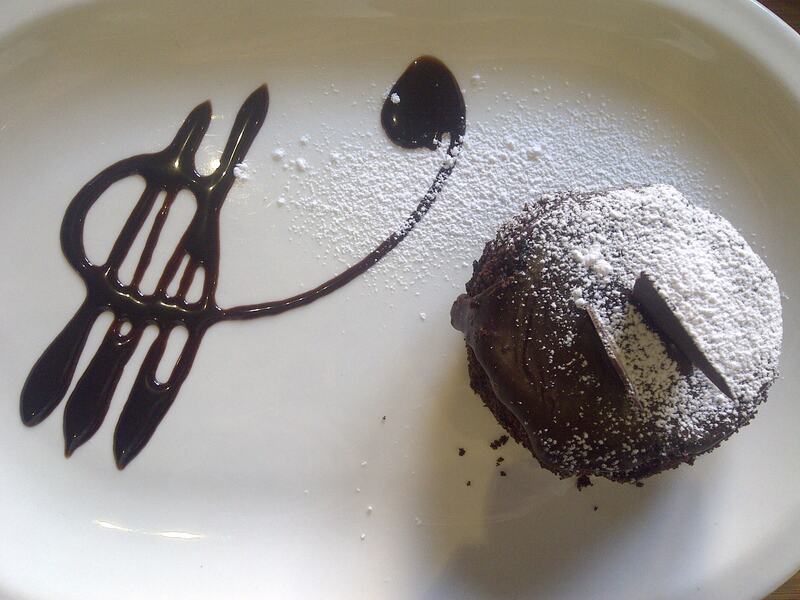 It is demanding in the mouth, yet subtle enough to help rounding off a meal. 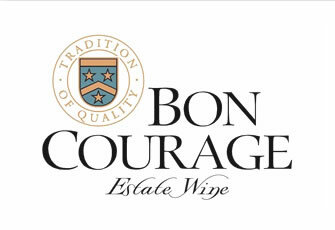 The Bon Courage signature is the lingering flavour. For some reason it made me think of a yellow honeysuckle flower. Rooted in quarts stone, this Sauvignon Blanc has a pleasant ruggedness on the tongue and a refreshing mineral aftertaste. 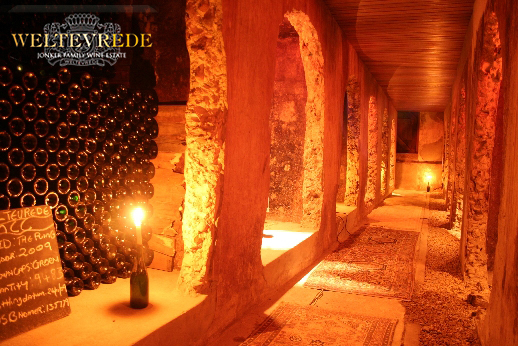 The wine has a history in its design, something wild and concrete. A fascinating wine. Gray in flavour and subtle on the tongue, this Methode Cap Classique – Chardonnay Pinot Noir ultimately has a happy romantic electricity about it, and it is the embodiment of the Jonker family’s passion for wine making. This is what red wine is all about! It is strong and full-bodied, aromatic and deep. Think of a ripe plum, so perfectly ripe that it might burst any second. Then imagine biting into it. Add a hint of oak and spice, and that’s what this wine tastes like on the pallet. “I don’t know how he does it,” I said, staring at the glass in disbelief, taste buds not sure what to do. Bon Courage’s Shiraz and Cab offerings is more than just a personal favourite. It is a challenge of excellence. With every new harvest, I prepare myself so that I’m not stunned by the complexity of their reds. I challenge myself not to be impressed, but I lose every time. I don’t know how the winemaker does it. The smoky and sweet spice on the tongue with that chocolate coffee aroma was enough to impress. But the silky berry feeling afterwards is what makes one remember it. And that is my humble breakdown of the best wines at the Wacky Wine! Simply share your best wine experience as a comment on the blog or tweet it to @james_fouche or use #bestwackywine when you tweet. 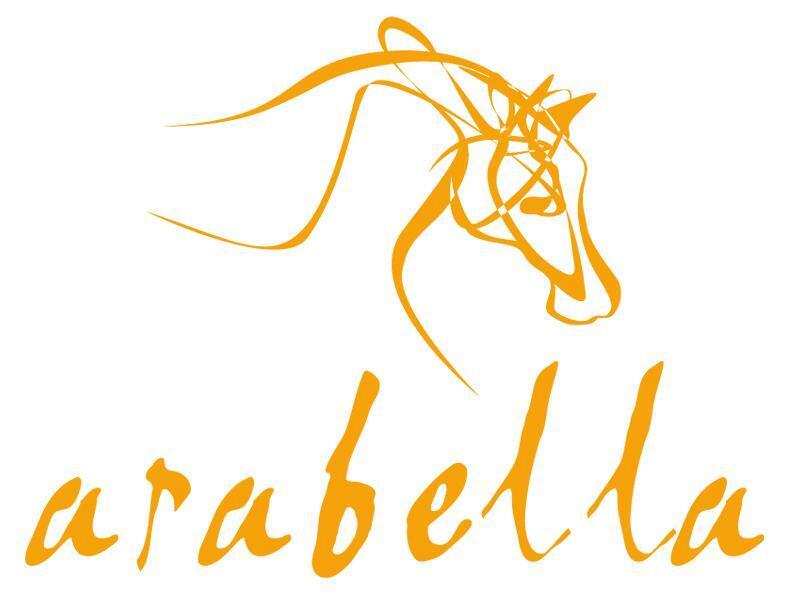 The prize is a box of Arabella wines. Entries open to folks living in South Africa. Please share the competition with friends. When we travel somewhere I prefer to set out before sunrise. Best to hit the tar before trucks crawl out of hiding and snail along your intended route. My wife first concluded her exhausting packing regime, then it was my turn. I’m a plotter so most of the packing takes place in my mind. Ten minutes later my suitcase was added to the mountain of luggage by the door. The following morning the car was loaded, dogs and bunnies fed, and cat shooed from underfoot. Before long we were on our way to face the Wacky Wine madness. As we climbed onto the main road the headlights happened to pass over the flattened corpse of a bird. Then I heard the sniffing. My wife was whimpering, cheeks glistening with fresh tear tracks. “I think that was a male bird. It had bright feathers,” I said, hoping it would diffuse the situation. It made it worse. We held a number of eulogies along the way, for fauna across all species. Late morning we arrived in Swellendam. We stayed at Impangele guest house, a pleasant and affordable stop-over for people travelling through. We were offered a hearty welcome by the hosts and were shown to a leopard-themed room. There we were able to read up on how Impangele came about, with pictures detailing the progress of their guest house. With the launch of my latest novel, KING OF SORROW, finally around the corner, we both agreed we needed a bit of pampering at the Rain Forest Day Spa. 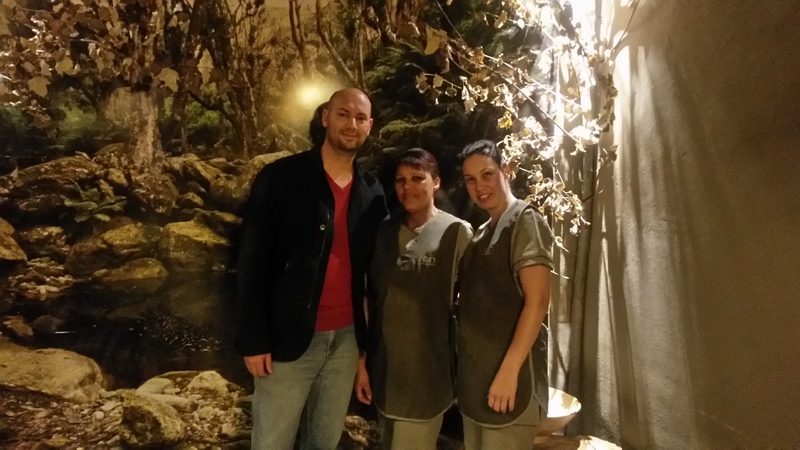 I had the elephant walk massage. Now I know what you’re thinking: crime authors sound like a bunch of sissies. I don’t care if you judge me. It was an hour of absolute bliss, and affordable enough for anyone to enjoy. I left feeling refreshed and ready for the weekend and the coming book launch. I was tempted to load pics of the massage room, but it included me in my undies. I’m afraid – and quietly hope that – most readers would find that distasteful. Once you see it, it can’t be unseen. Oh, remember to check out the Rain hamper competition at the end of this post. The next morning we visited the Wildebraam Berry Estate (@WildebraamLiq) to do a liqueur tasting. It was a bit too early for alcohol but we did the full tasting anyway. Strange as it might sound, the guava liqueur was triumphant over all. So, half-drunk on berry nectar we made our way to Orange Grove Farm in Robertson, where we would stay for the next couple of days. By far, this was the travelling highlight. We were met by our personal guide and taken to our cottage. The cottages are at an elevated level over-looking the vineyard, so the views were amazing. The accommodation itself was of the highest standard. As an author I’m quick to pick up silly things that others might consider inconsequential. I immediately noticed two small fire extinguishers, clear exit signs, a fire blanket in the kitchen, and a first-aid kit in the bathrooms. The conventional toiletries included the OGF1812 personal care shower gel and lotion, containing diamond dust and luxury coffee colouring. I had never experienced this attention to detail at a self-catering venue before. Later I would discover that the owner, Carlos Araujo, has a mining background so he regarded the health-and-safety aspect as first priority. We briefly discussed his chequered past and his humble beginnings. He is a colourful character. The fact that he encourages staff to read a book a month, warmed this author’s heart. The next morning I officially began the Wacky Wine Weekend. Every other concern faded away. I was there to celebrate the grape and to taste what the different wine makers were able to accomplish with it. My next post will detail the variance of wines, the tasting highlights and what happened at some of the estates. 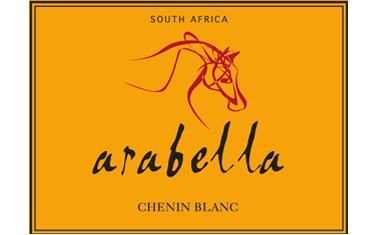 Next week I will also be giving away a box of Arabella wines so follow the blog or check in to see how you can win. Fiction authors, a naughty bunch by nature, swim through never-ending dreamscapes to mould their tales, feeding off of their imaginations and accentuating the senses. Because of this it requires mental restraint when reviewing wines or wine estates, restaurants or chefs, coffees or baristas. However, during the Wacky Wine Weekend there are so many of these wonderful elements and it needs to be shared. I decided to break it up into three separate posts: the food, the travel, and the wines. I thought it wise to start with the food because there will be competitions and sponsored prizes during the other posts. 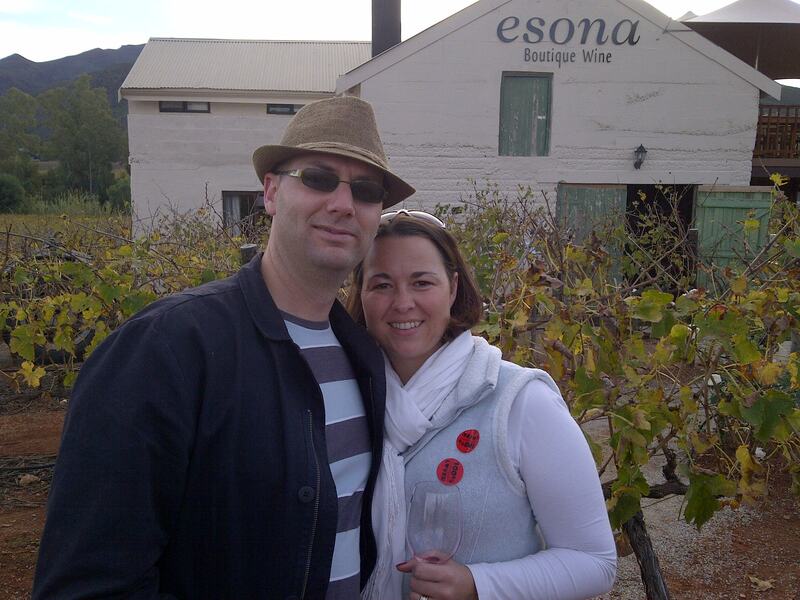 My wife and I travelled via Swellendam to Robertson, and when the Wacky Wine was finished, we drove through Barrydale back to the Garden Route. Just one note, during the festival there are few places to sit and eat because most estate restaurants can’t service the large number of visitors. Instead a portion of the ground is sectioned off and a large market-style food stall is erected under tent-cover to feed the masses. Though it serves the purpose and I’m usually first in line for traditional local foods, I do not review boerewors hotdogs and roosterkoeke. I visited Bon Courage just prior to the Wacky Wine because they stock some of my favourite wines and we happened to be passing by. The restaurant is owned by Maude Bruwer, sister of the winemaker at Bon Courage. For breakfast one had Eggs Benedict and the other had Eggs Florentine. Being a stickler for detail, I immediately picked up the chef’s signature. It was the tomatoes. Something about them contributed to the overall brilliance of the meal. The tomatoes had been lightly grilled, drained of excess water and drizzled with balsamic. It became such a feature that it overshadowed the magnificence of the rest of the meal. Well done! Bourbon Street incorporates an American theme with an adapted American-styled menu. Prices are very competitive while the food, as well as the presentation, were in keeping with the unique theme. I can strongly recommend the Springbok and Kudu burger or the chicken chimichanga. Even the Moroccan couscous is spectacular. Considering the competitive price and serving size, one has to be realistic about preparation time and availability. But consistency should be a non-negotiable attribute of any restaurant, whether peak season or not. During these challenging times a restaurant should be a smooth machine. We visited Bourbon Steet thrice. Let me detail the minor inconsistencies: First visit was quiet with good food, muted atmosphere with adequate service. Second visit was loud, great service, long wait for food and not the same serving size as before. Third visit was good food, adequate service, and very loud atmosphere. When reviewing restaurants I seldom visit the same place more than once, unless there are no other places available. This time I couldn’t resist going back for more. Delicious home made veg soup, tasty cottage pie, surprisingly light cheesecake with subtle berry compote, decadent choc-orange-coffee cake, and smooth coffee formed part of a collection of surprises. Then add to that the crackle of a fireplace on a rainy day and caring hosts, and an author’s world makes sense again. Delightful surprise in the heart of Montagu, which is a short drive from Robertson. The lasagne had a gentle herbs-and-spices preparation, opting for a muted, less intense flavour. It worked well. Their chicken, cranberry and camembert salad reigned supreme over all salads on offer during the trip. The large rose water flavoured meringues were fascinating as a dessert. Decent portions and friendly service sealed the deal. At the peak of the Wacky Wine we were searching high and low for places to eat. Most places were fully booked (a reviewer’s worst nightmare! ), so we discovered this gem in Bonnievale. It was the perfect end to a perfect day, which is what you expect from a restaurant. From the food, the creative shop fitting, the light atmosphere, to the complex Bonnievale CCC house wine, all was enjoyed. The calamari portion, as well as the ribs, were sizeable enough and proved to be good value for money. Preparation was timed well and the service was excellent. Both Karins were present and a delight to speak with. It was immediately clear that the restaurant was either new or under new management, something which was confirmed later. This in itself is not always a bad thing, so do not let that dissuade you from visiting De Vagebond. They might be in the early stages of something amazing. Their biltong and blue cheese soup was amazing, not too creamy. 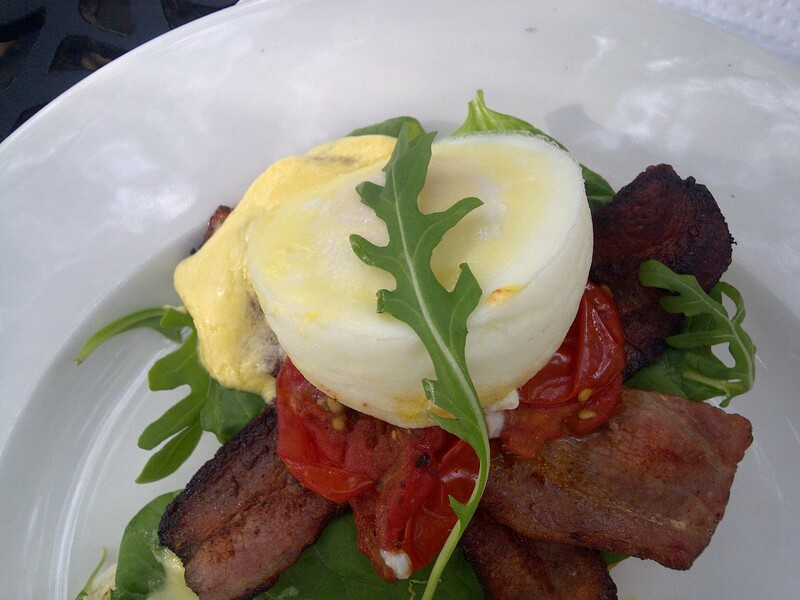 The smoky bacon salad made an impression because care had been taken to prepare the bacon in a maple syrup, something that adds character to the dish. Though the waiters seemed a bit new and over-eager on the job, the service was still very good. De Vagebond is a work in progress, and the sky is the limit. In the next post I will explore the travelling side of things. I will show everyone what an author does to de-stress (don’t worry, I’ve deleted all the explicit pics) and I will explain why people think we are obnoxious, when we are actually trying to be charming. 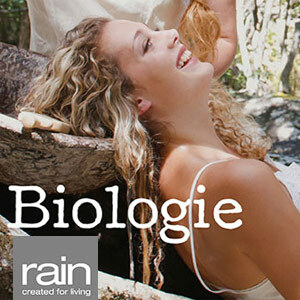 In the next post there will be a Rain Biologie hamper* up for grabs. 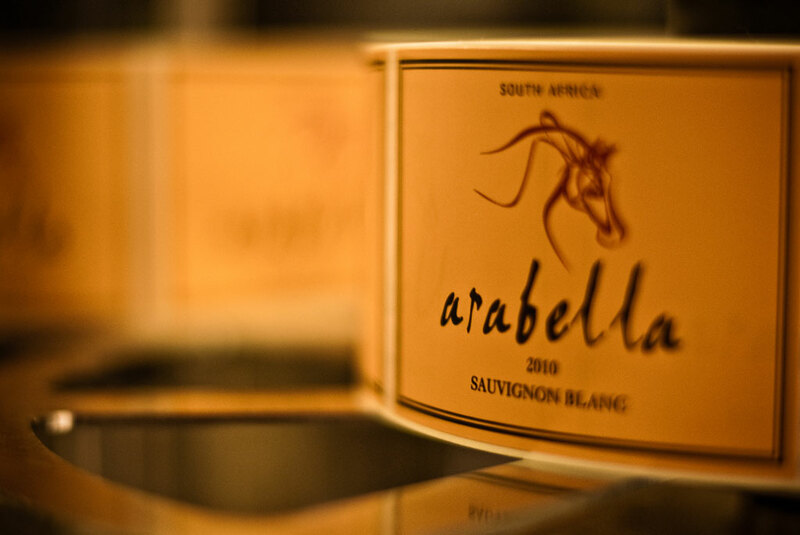 And in the final post featuring the wines, there will be a box of Arabella wines on the line. *Picture is only a representation of the hamper. Products might vary. Prizes only available to folks residing in SA. There are 2 routes to travel between Cape Town and the Eastern Cape. One is with the N2 national road. The never-ending stretch of tar accommodates many trucks, taxis and other nervous motorists. It’s not the most scenic trip, either. At times, the ocean is visible in the distance. Other times, there are hours of bland countryside, not a soul in sight. The other route is with Route 62, otherwise known as the wine route. The R62 takes the traveller through the Langeberg region, the heart of the Western Cape winelands. It snakes along scenic countryside with breath-taking mountain ranges, through beautiful towns like Bonnievale, Robertson, Ashton, Montagu and Swellendam. 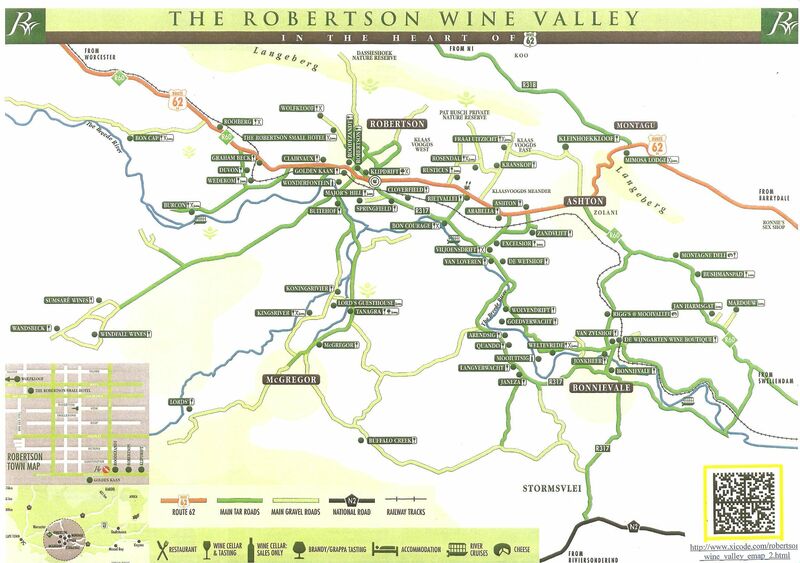 Within the Robertson Wine Valley there is a fine network of roads linking to all the wine estates. Why people opt to take the other route is beyond me. 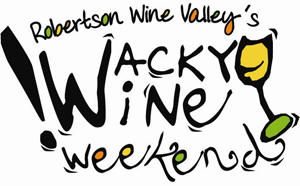 Every year the Wacky Wine festival calls all the attention to the region. This year the event runs from 6 – 8 June 2014. Most of the wine enthusiasts find themselves drawn there, and rightfully so. There is so much to do for the whole family. Whether going from estate to estate for wine tastings, enjoying the local cuisine, braving the many outdoor activities on offer, or engaging with the locals, it is easy to lose oneself. Food, wine, travel… An author's escape.